New Rochelle, NY, June 20, 2018–Tissue-engineered articular cartilage (AC) for repairing cartilage damaged by trauma or disease can be made to more closely mimic natural AC if mechanical stimulation of particular magnitude and duration is applied during the development process. 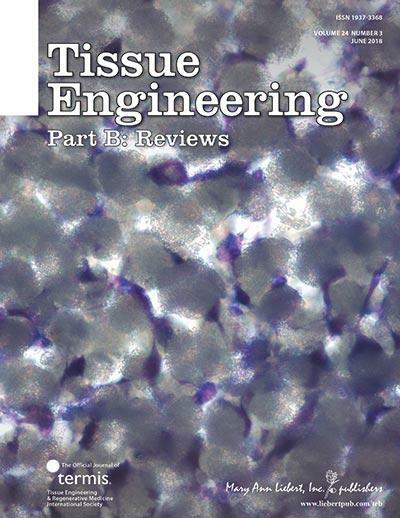 A detailed review of the different stimulation techniques used and how to determine optimal loading parameters for improving the mechanical, structural, and cellular properties of AC is published in Tissue Engineering, Part B (Reviews), a peer-reviewed journal from Mary Ann Liebert, Inc., publishers . The article is available free on the Tissue Engineering website until July 20, 2018.